This has been a momentous week! Perhaps not since the middle weeks of September—which witnessed the Al Qaeda attacks of 2001, the financial collapse of 2008, and the first day of Occupy Wall Street three years later, among other epochal events—has History been so busy. Just in the last two days, Prohibition ended (in 1933) and the 13th Amendment was ratified, ending slavery in the United States (in 1865). 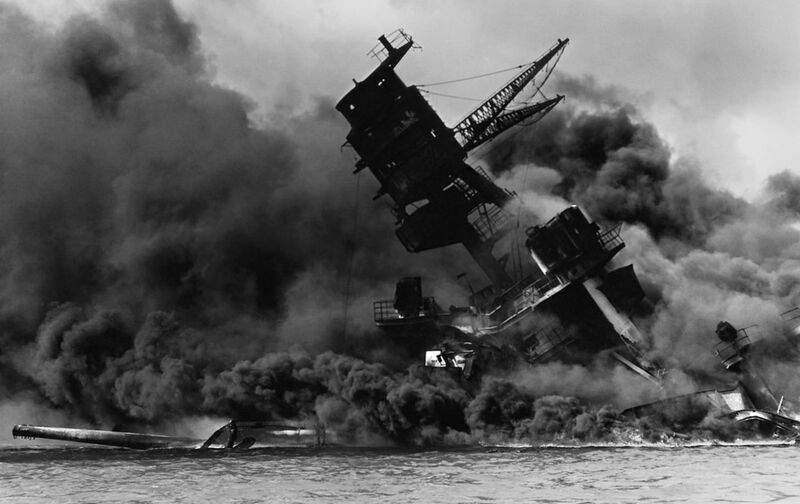 Now, on this infamous day in 1941, of course, the Japanese attacked the United States Navy base at Pearl Harbor, in the then-territory of Hawaii, killing 2,300 Americans and roping the United States into yet another world war. In The Nation a week later, Washington editor I.F. Stone wrote an article titled, “War Comes to Washington,” in which he welcomed the advent of a war he hoped would finally settle some of the geopolitical (and domestic) tensions that had simmered through the 1930s, that “low, dishonest decade,” as W.H. Auden put it when the war in Europe began more than two years earlier. Interestingly, Stone’s triumphalism and faith in the sitting president would find its echo six decades later in the first articles written after September 11 by his successor as The Nation’s Washington editor, Christopher Hitchens; make of those similarities, dear reader, what you will. We are going into this war lightly, but I have a feeling that it will weigh heavily upon us all before we are through. The vast theater on which the struggle between this country and Japan opens makes the last war seem a parochial conflict confined to the Atlantic and the western cape of the Eurasian continent. This is really world war, and in my humble opinion it was unavoidable and is better fought now when we still have allies left. It is hoped here that the actual coming of war may serve to speed up the pace of production and shake both capital and labor out of a business-as-usual mood far too prevalent. There has been a general feeling that the production problem could not be solved until war was declared. We shall see. It is possible that a whipped-up hysteria against labor and progressives will serve to stifle the very forces that could be used to bring about an “all-out” effort. It is also possible that the coming of war will open the way to greater cooperation in the defense program, to a broader role for labor in the mobilization of industry, to a lessening of attacks on labor in Congress, and to improved morale. My own confidence springs from a deep confidence in the President. For all his mistakes—and perhaps some of them have only seemed mistakes—he can be counted on to turn up in the end on the democratic and progressive side. I hate to think of what we should do without him, and when I drive down to work early in the morning past the White House I cannot help thinking with sympathy of the burdens that weigh him down. On the threshold of war, and perhaps ultimately social earthquake, we may be grateful that our country has his leadership.